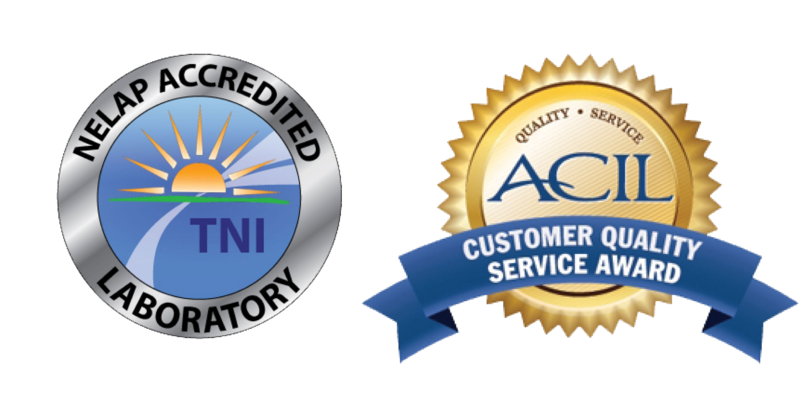 ACZ Laboratories, Inc., Steamboat Springs, CO has received the ACIL Customer Quality Service Award program for 2016-2017. This program provides users with a mechanism for evaluating testing laboratories. Participants are committed to ensuring the integrity of data, meeting customer’s quality needs and setting the standards of performance for the testing laboratory industry. Any testing laboratory who wants to be recognized as a participating laboratory must maintain proof of an annual ethics training and an early detection system for questionable analytical practices, submit a signed code of ethics and distribute satisfaction surveys to their customers. The participants have committed to a uniform code of ethics and Customer Survey data for comparison to other participants. The Customer Quality Service award participants demonstrate that they are proud of the quality they achieve and always operate with customer service as a top priority. The results of the program’s customer satisfaction scores, list of Customer Quality Service Award Qualified Participants and the laboratory contact information are made public. All other customer information is held in the strictest confidence between the laboratory and the program administrator.